The version of the Book of Revelation given here is that of the authorised King James Version of the Bible, begun in 1604 and completed in 1611. The King James Bible is generally regarded as a literary master work, and its version of the Book of Revelation is reproduced here without change or comment as the Authorized Version of the Church of England. 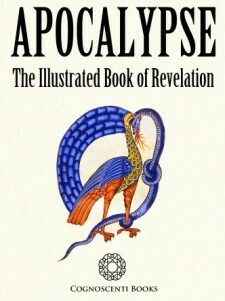 What distinguishes this edition of the Book of Revelation is not the text but the remarkable and imaginatively beautiful accompanying images. These are derived from various 10th and 11th century illuminated manuscript versions of the Commentaria in Apocalypsin or ‘Commentary on the Apocalypse’ originally penned by the Spanish monk and theologian Beatus of Liébana in the mid-8th century. To these are added a series of illuminated miniatures of Revelations from the Bamberg Apocalypse created at Reichenau between 1000 and 1020, and from the Ottheinrich Bible, commisioned in c.1425 by the Royal Court of Bavaria and completed in the early 16th century by the artist Matthias Gerung. The Tao Te Ching or ‘Canon of the Way of Virtue’ is a classical Chinese text generally dated to the 6th century BCE. It has traditionally been attributed to Laozi, the ‘Old Master’, said to have been a scribe at the court of the Zhou Dynasty. The actual date of the composition of the Tao Te Ching remains a matter of conjecture, though the oldest text discovered so far dates back to the 4th century BCE. 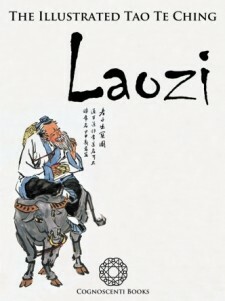 The text attributed to Laozi is central to both religious and philosophical Taoism, and represents a central tenet of the ‘Three Teachings’ of Taoism, Confucianism and Buddhism that combine to form the main religious tradition not just of China, but also of Korea, Japan and Vietnam. Representing a philosophical standpoint rich in naturalism and closely associated with anti-authoritarianism down the millennia, it has also been a major influence on the artistic world in China and beyond, inspiring generations of calligraphers, poets, painters, musicians and classical landscape gardeners. In Thailand practically every town or village has several openly transsexual boys or men who dress as women and are born with feminine characteristics. They are known by a Thai term which translates ’Women of the Second Kind’, and are also often known by the English loan word ’Ladyboy’. Perhaps no other country in the world has such a large percentage of transsexuals, nor arguably does there exist any other culture where persons of the ‘third gender’ can live and interact with society so freely and comfortably. Vietnam is a name that resonates in the American national consciousness. Yet before the Gulf of Tonkin Incident in 1964, few Americans knew much about Vietnam, causing former US Secretary of Defense Robert McNamara to comment that Americans were ’almost completely ignorant of Vietnamese culture, knowing little of the language or long history of the country’. By contrast, since the fall of Saigon in 1975 there can be few people anywhere in the world that do not know the name, location and recent history of Vietnam. Yet beyond the period of US involvement in what Americans call the ’Vietnam War’ and Vietnamese call the ’American War’, how much has changed? 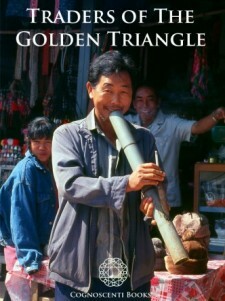 The antique Silk Road that connected the Chinese and Mediterranean Worlds for more than a millennium, facilitating the exchange of both goods and cultures, is widely known and celebrated. 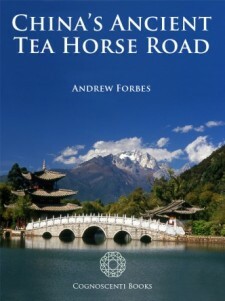 Less familiar is its more southerly equivalent, the ‘Ancient Tea-Horse Road’ that once linked the lush gardens of southwest China with the frigid wastelands of Tibet and – beyond – the torrid plains of northern India. The latter is also sometimes called the ‘Southern Silk Road’, though this is a misnomer, as silk seems never to have played a very important part in the traffic that traveled along it. For much of the second half of the 20th century Cambodia was racked by war and famine. Yet it was not always like this. Before its rice fields were stained with blood in the mid-1960s, Cambodia was celebrated as a land of fertile tranquility where a predominantly Buddhist people continued the myriad artistic and cultural traditions of the old Khmer Empire—the first high civilisation in Southeast Asia, exemplified by the extraordinary temple of Angkor Wat, surely the Eighth Wonder of the World. 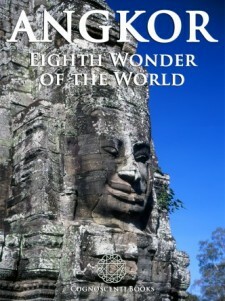 Angkor has to be seen to be believed. It is the largest religious site in the world and, beyond doubt, the major cultural and historical attraction in all of Southeast Asia. Perhaps the most universal of all drinks but water, tea enjoys a unique popularity around the globe. From the Patagonian Pampas in Argentina, to the high plateau of Tibet, it serves as a restorative, an aid to digestion and a warming “pick-me-up”. In the refined chanoyu ceremony of Japan, tea-drinking has attained an apex of cultural sophistication, whilst half a world away in Great Britain high tea, generally taken at mid-afternoon, distinguishes the drawing rooms of the rich and influential, royalty and commoner alike. No doubt about it, people everywhere hold tea in high esteem – but where did it originate, and who first thought of plucking the leaves of this sturdy shrub, and then infusing them in boiling water? 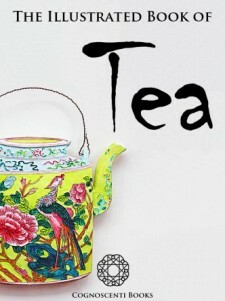 According to oral tradition, tea has been grown in China for more than four millennia. The earliest written accounts of tea making, however, date from around 350 CE, when it first became a drink at the imperial court.